Making a payment on your policy has now been made convenient, secure and easy! Since Caribbean Insurers Ltd ("CIL") was founded in 1973, we have provided the residents of the British Virgin Islands with all of the insurance coverages they need – from auto to homeowners; from life and health to marine; and from employer’s liability to professional indemnity. What makes Caribbean Insurers better? Our reputation for paying claims fairly and promptly and consistently over the years singles us out from the others. We pride ourselves on this reputation. To expedite the claims process, please download and complete the appropriate claim form here. 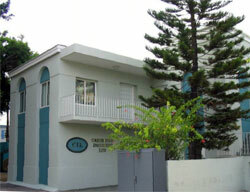 CIL takes great pride in being the leader of insurance services in the BVI. With custom in-house software technologies, we are able to provide complete insurance products and services in a matter of minutes. Our longevity speaks volumes about our stability and the incredible advantage of helping to shape the BVI’s insurance services sector. We now accept payments online via credit and debit cards bearing the Visa® and Mastercard® logos.